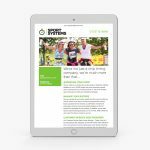 Our work for Sport Systems – sports event management services – started with an exercise in re-branding the company. It was necessary not only to bring the company’s logo up-to-date but also to create an identity that would be robust enough to stand up with other, adjacent sports related organisations such as Nike and Adidas. The brief was simple, Sport Systems wanted to keep the stopwatch symbol in some way to maintain some “heritage” with what had gone before. 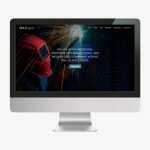 Leaf Communications strived to fulfil this part of the brief but in some way attempt to achieve something extra… something that would convey “success” or “the right choice” as a proposition. The minute and second hands on the stopwatch form a clever tick device.